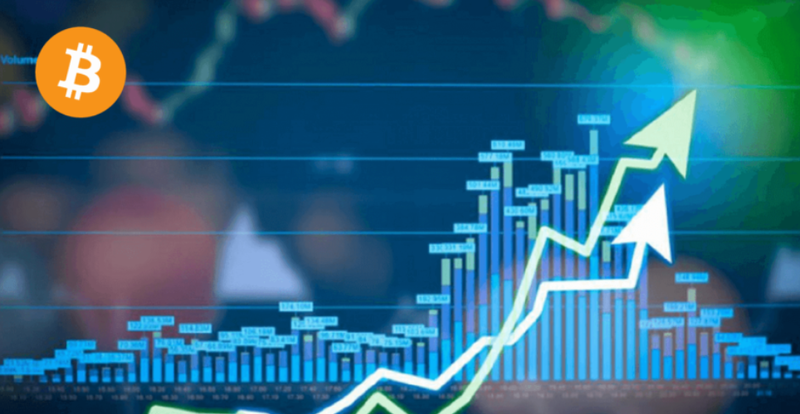 Since April 2018, it’s the first time for Bitcoin price to maintain a fourth consecutive week with a green candle close, reaching highs during the week of $4040 with strong volumes backing and finding support when $3900 was tested. The short-term bullish outlook for BTC has been strengthened. However, according to some analyst predictions, bear-to-bull will not achieve until BTC crosses the $4600 mark and moves towards $6000. If to take a long-term look of the cryptocurrency market, everything may remain bullish. But if you prefer making profits at a faster rate, BTC futures trading with 100x leverage is a better option for you. What is 100x Leverage Futures Trading? Futures trading is another popular transaction type in the cryptocurrency market. Different from spot trades, futures trading allows you to buy/up or sell/down, which means you can make a profit on both BTC price rising or falling. In addition, in the spot trade, if you want to buy 1 bitcoin, you have to pay $3990. But in futures trading, you just need to pay 1 bitcoin [$3990] to purchase 100 bitcoin contract with 100x leverage added. To conclude it, 100x leverage futures trading enables you to open 100 bitcoin contracts with only 1 BTC used as margin, betting on price up or down. No spread: 90% of futures exchanges deliberately set the spread, making users more difficult to earn money through trading. If you traded futures contracts before, you will find that you will lose a little money once you opened a position. But in Bexplus, you don’t need to pay any money on opening a contract. Trading Simulator: Bexplus provides 10 BTC for users, especially for beginners to be familiar with BTC futures trading in the trading simulator. You may get to know how to open and close positions, set stop-loss and stop-profit points, etc. 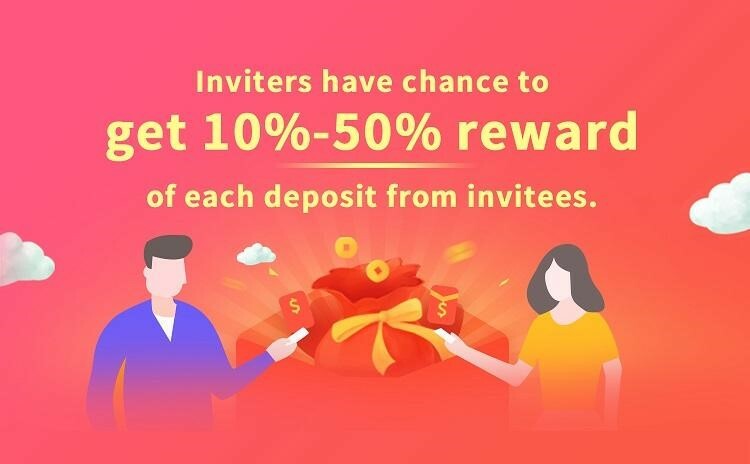 100% Deposit Bonus: To trade in Bexplus, you need to deposit BTC in firstly. 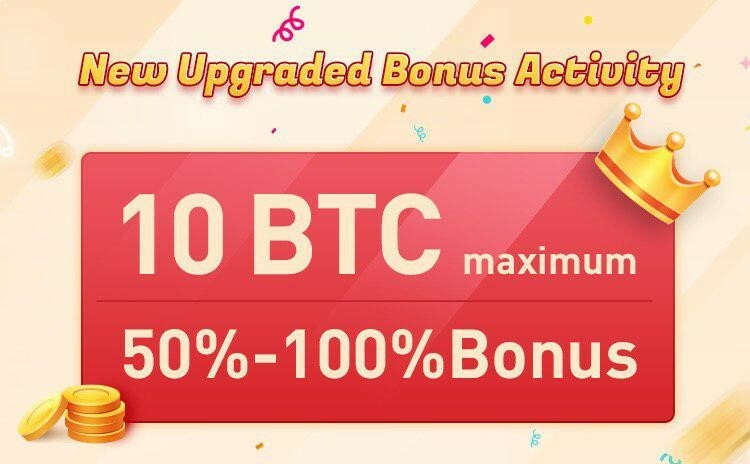 Now deposit Bitcoin in your Bexplus, you will get 100% free BTC bonus according to your deposit amount. For example, if you deposit 10 BTC in, you will gain 10 BTC as a free bonus, which will increase your margin rate to avoid positions blowup when huge market fluctuations suddenly happen. For Business cooperation contact here.